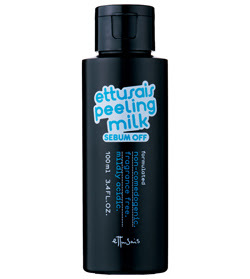 Ettusais will release a new Sebum Off version of its Peeling Milk (1260yen) on 18 July in Japan. It contains charcoal powder for absorbing dirt. I've tried the original Peeling Milk previously and didn't find it to be that effective though.